After oohing and ahhing over so many people’s gorgeous swatches of white crellies with glitter, I finally broke down and got one of my own. So here it is, my first white crelly with glitter and my first Love Angeline polish (I’m making June “try new things” month!). “All Wrapped Up” has pink, gold, and silvery holographic hex glitter that peek through the white base. It kind of reminds me of those frosted circus cookies that were everywhere when I was a kid (have kids moved on to cooler and hipper snacks these days, or are these still around?). The formula of this type of polish was pretty new to me, so I found it a bit difficult to work with (it’s me, not you, dear polish). The first coat went on very thin and glitter-free, but it built up and eventually there was more glitter on my nail than I knew what to with. In the end, this is perfectly opaque at three coats (and a more skilled person could have done it in two). 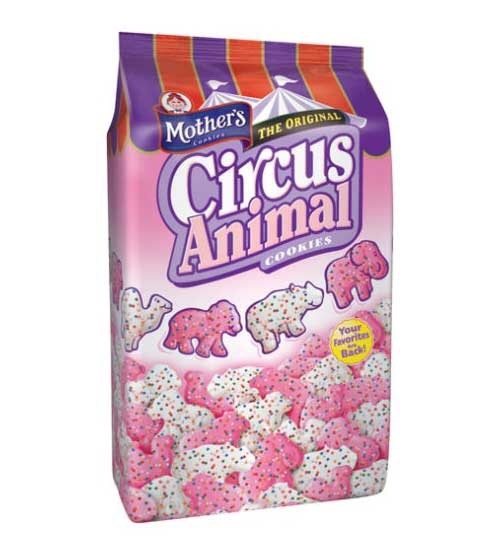 These are the circus cookies. Does anyone else see the resemblance? 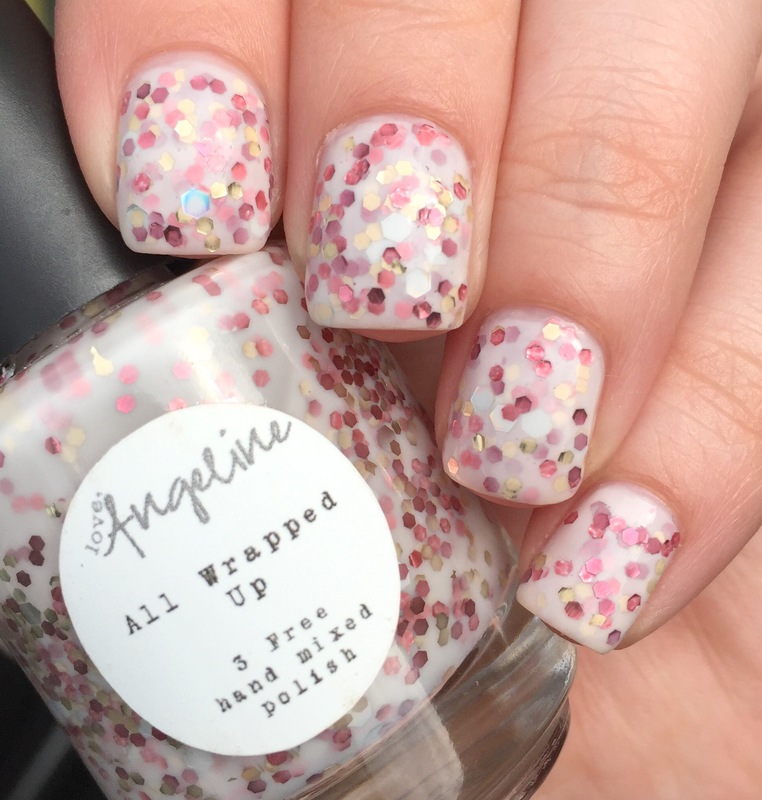 You can pick up this polish at Love Angeline’s website. While you’re there, definitely check out her amazing selection of vinyls! When I ordered this polish, I snagged some cloud-shaped vinyls and some herringbone vinyls. Now I totally want those cookies haha! I like this polish, fun! Very cute polish! Those cookies look delicious…. I’d totally forgotten about those cookies! Loved them. This polish is so delicate-looking. Whoa that is one glitter filled crelly! I love her polishes because of that though, so beautiful. I have this one as well and I swear I thought of the same cookie when I first wore it lol. I LOVED those cookies when I was younger!!! I’m pretty sure they still make them too!! I love white crellies and All Wrapped Up is perfection!! I have an early Love, Angeline at home that is a white crelly too and it’s one of my favorites!! ( go figure, I draw a blank and can’t remember the name ) Perfect swatches!! Oh and snacks back then were way cooler than they are now! Do you remember PB Crisps? NOM. I really like that the glitters don’t get covered up by the base. I think it add so much more dimension tot he polish that way. Liquid Sky Lacquer "24 Karat Rose"